NoSQL database management systems give us the opportunity to store our data according to more than one data storage model, but our entity-relationship data modeling notations are stuck in SQL land. Is there any need to model schema-less databases, and is it even possible? 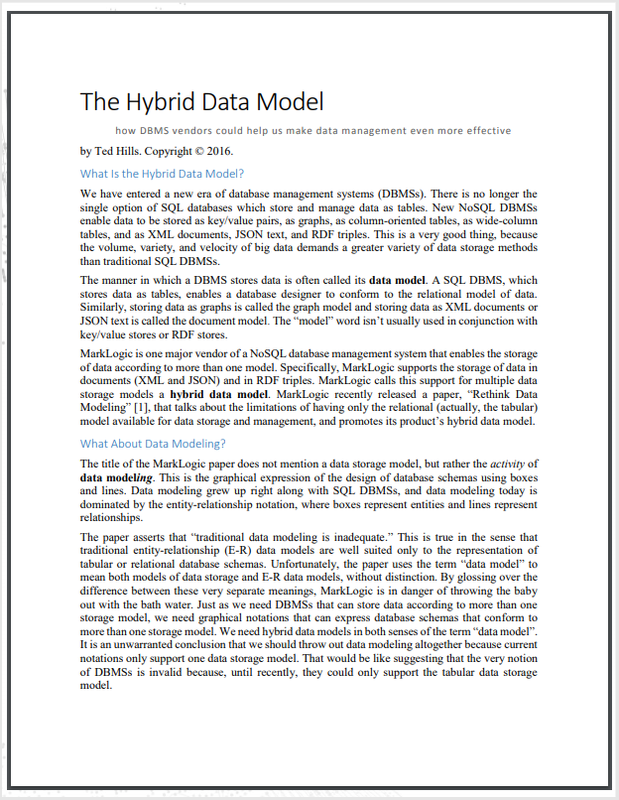 In this short white paper, Ted Hills examines these questions in light of a recent paper from MarkLogic on the hybrid data model.